ConsenSys Media recently talked about how Non-Fungible tokens are revolutionizing the online gaming industry. 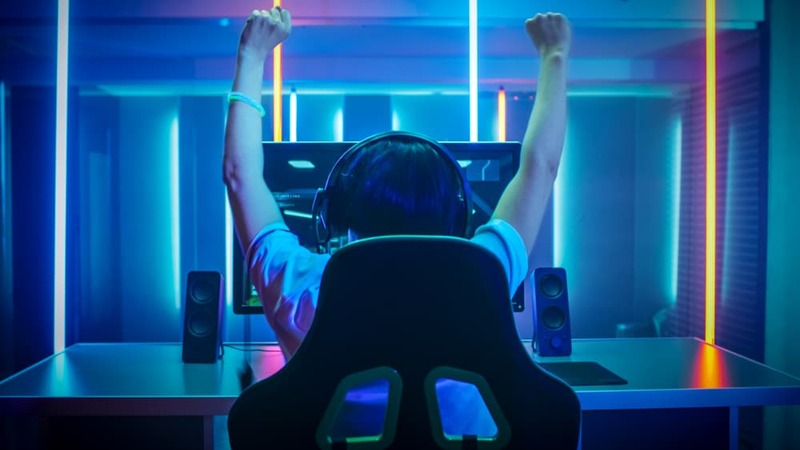 Blockchain has the potential to revolutionize the gaming industry through the use of Non-Fungible Tokens (NFTs). ConsenSys media recently highlighted 16 live NFT-based games that users can play for fun and earn some money in the process. According to ConsenSys, while the blockchain community is busy discussing network upgrades, adoption and scalability, blockchain-based games are quietly providing early proof that blockchain technology can revolutionize an industry. On the Ethereum blockchain, no-fungible tokens are defined as ERC-721 tokens. These tokens do not have equal value to other similar tokens, unlike fungible ERC-20 tokens. One ETH is equal in value to another ETH, but this is not the case with NFTs. Games are using these ERC-721 tokens, and ConsenSys claims that one of their team members made $600 in just three hours using NFTs on Ethereum. ConsenSys went on to provide a list of different games that are using NFTs and bringing new, unique tokens to buy, sell, and trade on Ethereum. ConsenSys listed different categories of games starting with “Collectible and Trading Games” like CryptoKitties, the popular Ethereum-based game that allows users to buy, breed and trade unique digital cats. Etheremon is a game that allows users to capture, train and sell unique creatures called Mons. PlasmaBears is a similar game where unique digital bears can be built, sold and traded or sent on adventures to discover wearable assets. 0X Universe allows users to create a spaceship and explore the galaxy, colonizing new planets and selling resources. The next category was “Battling Games” which includes games like Chibi Fighters where players can battle and trade digital warriors and collect weapons. Other battling games include Hyperdragons where users breed and train digital dragons and MyCryptoHeroes which allows users to collect, train and fight with historical figures. Other popular games in this category are Axie Infinity, Blockchain Cuties, World of Ether and Gods Unchained. The next category was “Strategy Games” which includes games like Decentraland, a VR world where users get a plot of land to build and trade assets. Another is CryptoAssault where users command an army in a 3D world and CryptoBaseball where users play baseball with tokens representing real baseball players which represent real-world performances. The final category ConsenSys listed was “Artwork Trading” where NFTs are also being used in artwork trading applications like CryptoSketches and SuperRare to buy, trade, and sell unique digital art. Previous articleLitecoin [LTC] Price Prediction: Will the Third Attempt Be Successful at Breaking Through Resistance? Next articleDOGE, XRP, XLM, TRX: What’s in Store for Price in the Coming Weeks?